How things have changed. Just a few short years ago Clonakilty native Tom Sheehy, owner of Cape Verde Development, on occasion trading as Go2CapeVerde Ltd., could apparently do no wrong. There were exciting things happening on the tiny Atlantic African archipelago of the Cape Verde Islands and Sheehy (pictured in Cape Verde with his wife, Rita) seemed to be the common denominator. 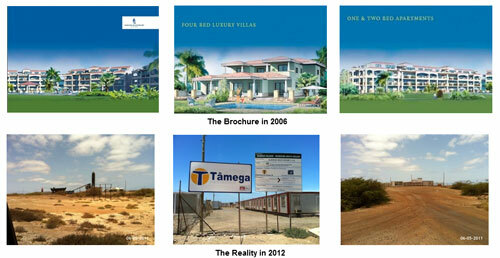 At one stage his Cape Verde Development company was considered to be the ‘largest developer of real estate there‘. In fact Cape Verde Development itself never built much on the islands, it instead sought to manage a variety of development projects being mooted by several Irish, UK and even American builders. Roll on four to six years and it appears that many of the people who did business with Tom Sheehy during the company’s whirlwind tour of Ireland and the UK are now unhappy that they have not received what they paid for or have received nothing at all – not even reassurances. His partners, most of whom are now former partners, are either taking Sheehy through the courts or seeking to have him declared bankrupt. The first indication that things may not all have been rosy in the Cape Verdean garden actually came fairly quickly, but according to Sheehy this was ‘an isolated incident’. The case came to court in 2009 but the disagreements behind it had first surfaced as early as 2007. The case was brought by Brian Murphy-O’Connor and Ted Whittaker against Sheehy and his one-time associate, Tralee developer John Cahillane (who has now distanced himself totally from Sheehy) and was widely reported in the press at the time. It related to assurances O’Connor and Whittaker were given that a plot of land in which had they had invested could be quickly sold on to buyers lined up before the purchase. It couldn’t, the parties went to court and a judgement was made against Sheehy for €8.5m. Sheehy never denied owing the money but claimed he couldn’t pay it. O’Connor and Whittaker subsequently sought to have Sheehy declared bankrupt in Ireland but, by that time Sheehy, his wife Rita and three daughters had moved to Lisbon, where they currently reside. The jurisdiction for the bankruptcy was therefore declared to be Portugal. This case is currently ongoing in Portugal. While this was all happening, a group of disaffected investors in Murdeira Beach, an ambitious marina project sold on the island of Sal, began to question Tom Sheehy and Cape Verde Development on what exactly was going on, as there appeared to be virtually no movement at all in the project (which was to have completed 20 months ago at time of writing this piece and still contains no more than a sign and a group of porta-cabins – see photo above from the website). Frustrated with the lack of feedback on the very serious concerns being voiced, a number of investors got together to form the Murdeira Beach Investors Group which subsequently launched a website outlining their grievances and the problems being encountered. Not only does Sheehy appear to have fallen out with many of the investors involved with Cape Verde Development, he also seems to have got on the wrong side of most of his former development partners. His split with his partner in Murdeira Beach, John Cahillane, has been very acrimonious as has his very public legal spat with O’Connor and Whittaker. John and Ned Cotter, well known Cork Quantity Surveyors, were the driving force behind the initial feature development that launched Cape Verde in Ireland and the UK as a property destination. They are now also seeking substantial damages from Sheehy. The first phase of the Paradise Beach development on the island of Sal was ultimately completed, but not before a total breakdown in relations between the Cotter Brothers, Tom Sheehy and Sheehy’s partner, Niall Fleming. Indeed the remnants of the acrimony still remain at the development to this day. The Cotters claim that Sheehy and Fleming mismanaged the development and defrauded Paradise Beach of several million Euro. In return Sheehy claims that Paradise Beach owes him several million Euro in compensation for his having been ousted from the project. This particular disagreement is likely to be settled in the Irish courts as a case is scheduled in Dublin’s High Court in early December 2012 in which quite a lot of dirty laundry is likely to be aired. Update – This case was heard from December 4th to 7th 2012 with a settlement reached in favour of the Cotters late on the evening of Dec. 7th. As the case was settled without a judgement all files relating to the case will remain unpublished. Suffice to say the settlement would indicate that the Cotters’ case was deemed strong enough not to be challenged in any real sense by Sheehy or Fleming as it had not got past the reading stage. Update 2014 – As the Cotter Brothers received no remuneration from Mr. Sheehy and he refused to remove his arresto on the Paradise Beach development on Sal island, his case was re-ignited and finally settled in favour of the Cotters in November 2014. At that stage the judge declared that Sheehy and Fleming were unreliable witnesses and found in favour of the Cotters. You can see the piece on the case here. More recently, as reported here on this site, a group of disgruntled investors have formed the Monte Gordo Investors Group to ascertain the outlook for the project on San Nicolau which has been stalled, virtually since it was sold at the end of 2005. Earlier this year Sheehy claimed to have engaged in a reverse takeover of Canadian company, Bitumen Capital, but as one frustrated investor told me: “like everything else he has been involved in so far, it was just a big puff of smoke”. Even if it were a realistic offer, it is questionable whether investors would have agreed to the move or not. It would have involved further engagement with Sheehy and Fleming, which most of those involved don’t seem to fancy given their experience to date, as well as further lining the pair’s pockets. It was to involve investors receiving a refund, in staged payments, of just what they had paid for individual units, with a huge windfall for Sheehy and the other directors, with Sheehy’s share directed to a company in Malta: “… ACL Malta Ltd, a corporation registered in Malta, which holds the shares in the capacity of Trustee of a Discretionary Trust, the beneficiaries of which include the family of Mr. Tom Sheehy, who will control directly approximately 25 million shares each, representing approximately 23% of the issued and outstanding Bitumen shares each.” Bitumen officially terminated negotiations on July 26th 2012 stating; “Bitumen’s board of directors have determined that they could not proceed with the transaction as structured …”. For more information on this group email montegordocv@gmail.com. 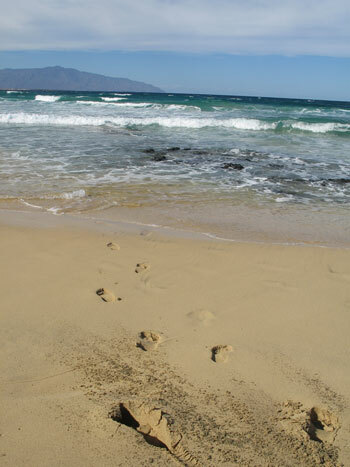 There are also a number of unhappy investors in units in Cape Verde Development’s very early small developments, Turtle Bay and White Sands, in the town of Santa Maria on the island of Sal. There are significant concerns over what has happened with their units, how they have been individually managed and the overall management of the projects on which they are located. I had been in touch with Tom Sheehy (tom@capeverdedevelopment.com) via email and phone up to about the middle of 2011, on and off, enquiring about issues that had been arising. He promised he would arrange to meet me in Ireland on three occasions, but nothing ever materialised and I eventually gave up on him ever turning up for a meeting despite repeated visits to Ireland from his current home in Lisbon. On the phone he did tell me that he wished to tell his side of the story, that everything was not as it seemed and I should not take stories being told about him at face value. He seems to have moved on from this position, apparently, and does not wish to tell his side of the story any more. The next six months or so is likely to be a very interesting one for those watching what happens with Tom Sheehy, Cape Verde Development and a quickly growing group of disaffected investors and former partners. Update: On February 19th 2013 Channel Islands based investment group, Stirling Mortimer, launched a court action claiming damages of almost €50m against a group of companies and people, including Tom Sheehy, Niall Fleming and Go2CapeVerde Ltd. For further details on this action see here. If you are involved with or affected by any of the issues or developments above, or other issues relating to Cape Verde Development, Go 2 Cape Verde or Tom Sheehy, please get in touch on info@diarmaidcondon.com. Thanks Mary. Where is the pub? I’m sure there are a lot of people that would like to pay a visit to wish him well. Working full-time at what, John? John, I got an email from someone very active in the Cape Verde market who has asked not to be identified. This person says Tom has not been seen in Cape Verde for a very long time. 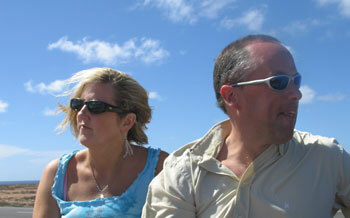 I’d be interested to find out where you received your information on Tom’s activities in Cape Verde. I know many of the groups mentioned above feel he’s not involved in the Cape Verde market at all now and has not been for some time, which appears to be the problem.